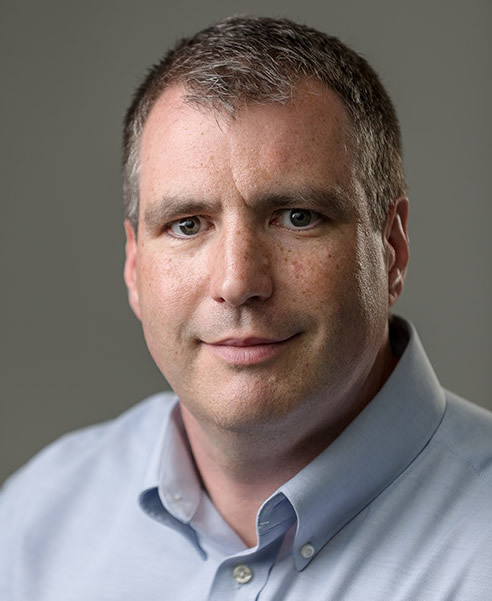 Guest author, Shawn Twing, is responsible for Marketing Funnel Automation’s traffic generation strategy and is a member of the MTAM faculty. 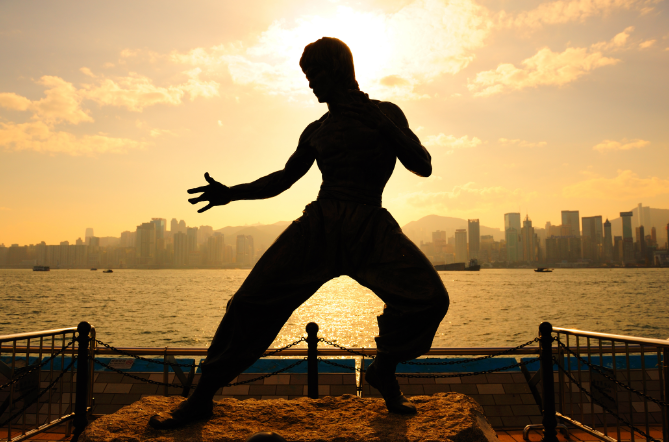 Martial artist, actor, teacher, and philosopher Bruce Lee died seventeen years before the debut of the world wide web, yet he may have given the best advice – ever – for creating and executing an effective traffic generation strategy. While Lee was best known for his movie roles, his accomplishments in the martial arts are also legendary. From his background in Wing Chun Kung Fu, he developed an entirely new interpretation of Kung Fu that he named Jeet Kune Do that emphasized efficiency, directness, and simplicity. Lee’s relentless focus on “hacking away at the unessential” gives us a powerful foundational principle we can use immediately. Before I dive into that principle and how you can use it, let me give you a little background so you can understand my perspective. I’ve owned a website development and Internet marketing agency for seventeen years, completed more than 350 projects for clients large and small, and managed tens of millions of dollars of advertising spend through Google, Facebook, LinkedIn, Twitter, and many other platforms. I’ve seen every crazy scheme you can imagine come and go, and watched traffic opportunities, strategies, and tactics evolve (and often implode) for nearly two decades. Get a proven marketing funnel map sent directly to your doorstep (and 11 more like it) FREE! Just a few bucks shipping & tell us where to ship yours now! One more thing that’s crucial to understand is that I am, first and foremost, a student of my craft, always looking for the underlying principles that matter, the tried and true methods that really work, and, to borrow Bruce Lee’s phrase, always “hacking away at the unessential.” Once meaningful metrics/goals have been identified – for example, target cost-per-lead (CPL) or funnel-specific-ROI – I focus relentlessly (and people who work with me would tell you, stubbornly) on the most efficient, direct, and simplest method(s) to achieve those metrics/goals. To understand why this is so powerful, let’s compare and contrast a typical traffic generation scenario with a strategy informed by Bruce Lee’s single-minded focus. This strategy is all about action spread across different opportunities. Create an Adwords account, set up retargeting, create a few search campaigns, try some banner ads on the Google Display Network, add some video advertising through YouTube, set up a Facebook advertising account, then LinkedIn, Twitter, Instagram, Pinterest, Reddit, maybe add some third-party services like Sitescout, Adroll, and Perfect Audience…and on and on it goes. There’s always something new and exciting to try, new opportunities and approaches, and certainly new products to learn the newest “secret”. The fundamental problem with this approach is that effort is spread too thin. By necessity, we become “dabblers” to borrow a phrase from Mastery, by George Leonard. We never have the joy – or the business impact – of truly mastering our craft. The often-used metaphor is light. When diffused (think light bulb) it will illuminate a room, when magnified (think laser) it will burn through steel. Instead of looking for opportunities, the Bruce Lee method focuses relentlessly on results. To use this method, we need to ask a better question. Instead of “what could we do?”, we ask “what should we do?” The difference cannot be overstated. “What could we do” assumes that time, energy, and dollars are infinite and no prioritization is required. If that’s the case, we could do anything and it wouldn’t matter. We have all the time in the world and money is no object. However, for everyone I know, time, energy, and dollars are finite which means we need to establish priorities. For example, if the priority is to generate 150 leads per day for a marketing funnel at a cost of $12 or less per lead, the next question we have to ask is “what is the simplest, most direct, and most efficient way to achieve that goal?” In my experience, that’ll quickly and dramatically limit the options available. Once those options have been identified, then it’s a matter of practicing the one kick 10,000 times. If YouTube pre-roll videos appear to be the best vehicle for reaching your goal, don’t dabble with them – become a master. Learn everything you can about them, know your audience inside and out, investigate the tools and resources available (and experiment with them) look at your metrics daily (hourly! ), study your results, form and test hypotheses until you know that source of traffic and its impact on your business like the back of your hand. Then – and only then – move on to the next source of traffic and repeat the process. But wait – what about the dangers of putting all of our eggs in one basket? Todd covered this problem very well in a previous post and he’s absolutely right that it’s a very serious issue. Anyone who has spent a lot of time and money generating traffic has had an important source of traffic disappear overnight. Facebook’s often inexplicable (and irrevocable) account shutdowns are the most recent and dramatic form of this, and it happens elsewhere as well. I believe part of the solution is focusing our attention vertically into methods first, and horizontally across platforms second. For example, if paid search marketing is your starting point, get something working well on Google and then replicate that (and make the necessary tweaks) on Bing. If you’re reaching a professional audience on Facebook, reach the same audience next on LinkedIn. If a content strategy is working for you on Facebook, move on to services like OutBrain. Banner advertising on the Google Display Network? Sitescout next. Keep adding layers thematically and continually move along the road to mastery. Another part of the solution is going out of your way to understand the policies and preferences of the advertising platforms you’re using. Google, in particular, is very transparent in its expectations, which are focused overwhelmingly on user experience. Google also has a support center with very knowledgeable staff who can answer questions, address concerns, etc. Work with Google and they will work with you. Facebook does publish its policies and preferences, and live chat is available for feedback. In my experience, however, Facebook also has extensive unwritten rules and that can be problematic. It’s one thing to knowingly break a rule and suffer the consequences, and another to suffer consequences without breaking any transparent rules. One final recommendation is this – put as much time, energy, and attention into your traffic strategy as you do in developing your marketing funnel. Figure out what works uniquely well for your business and then step onto the path of mastering whatever that is. Build on it over time, adding stability to your business along the way and eventually you’ll look back and wonder how you make so much progress so fast.